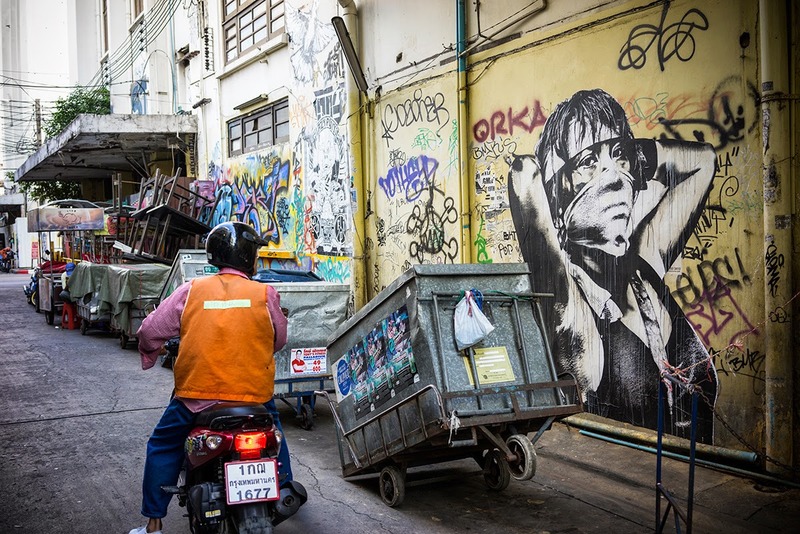 As 2014 drew to a close, Bay Area artists, and frequent collaborators D Young V and Eddie Colla headed to Thailand to end the year on a decidedly different note. 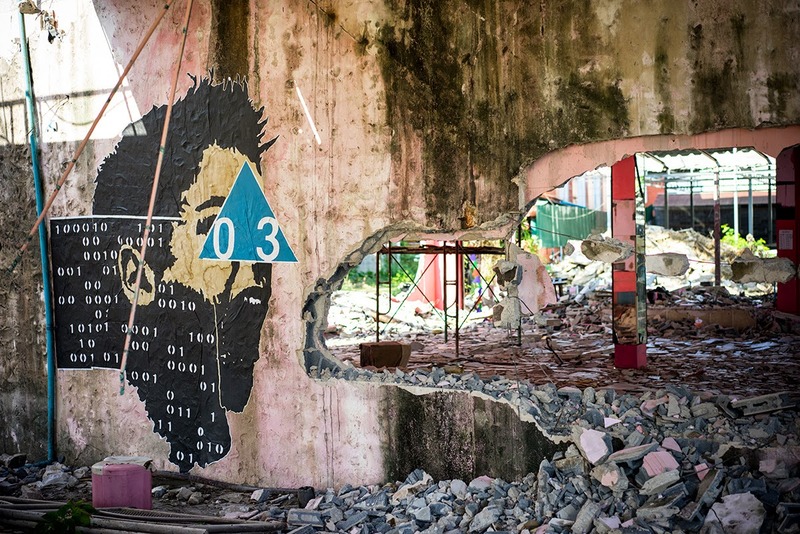 The plan was simple, there was no plan. 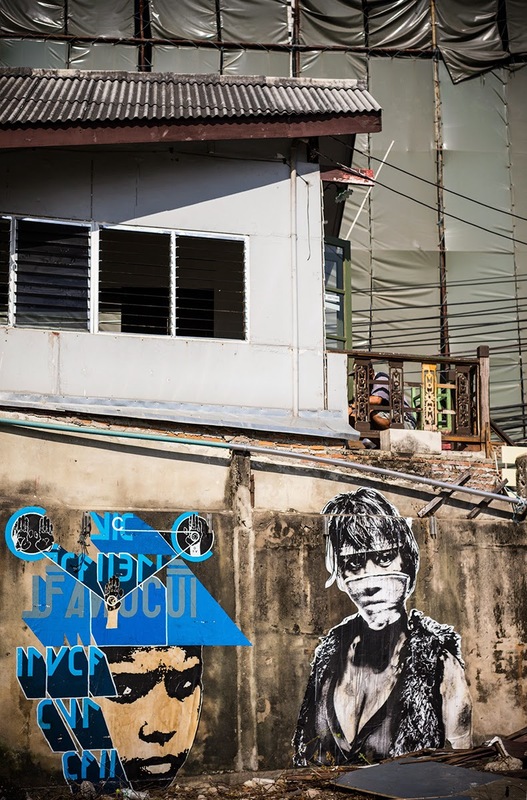 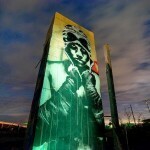 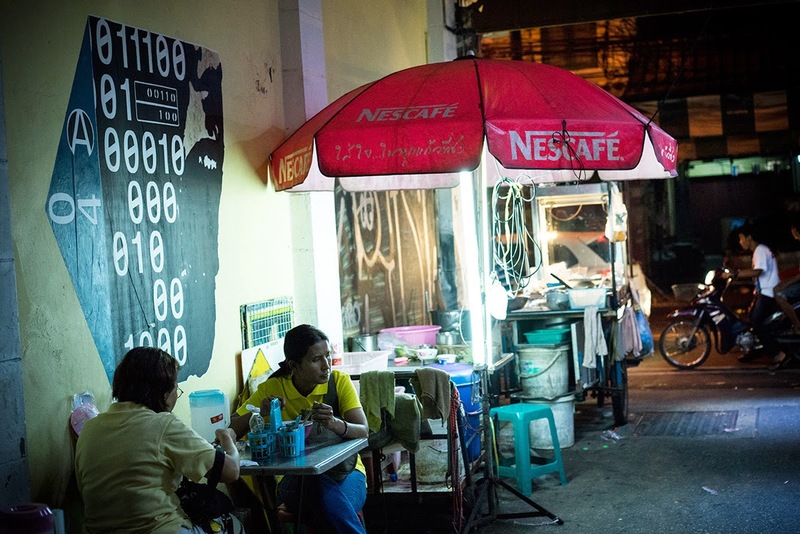 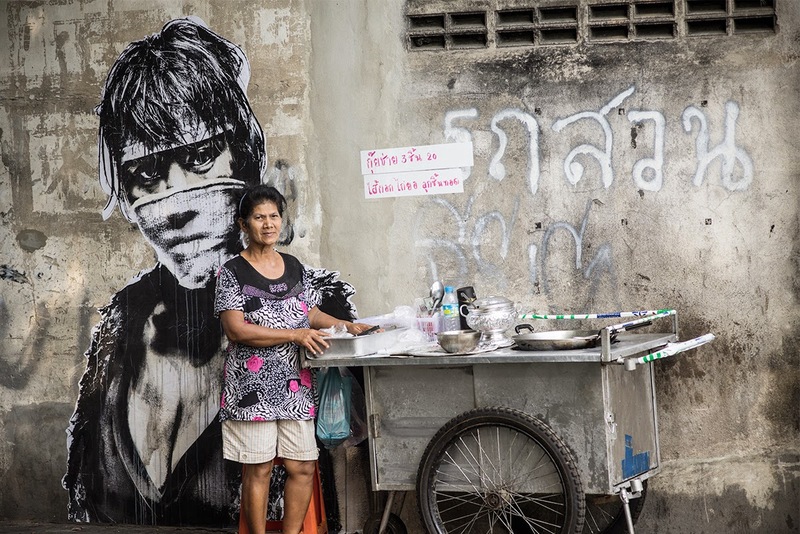 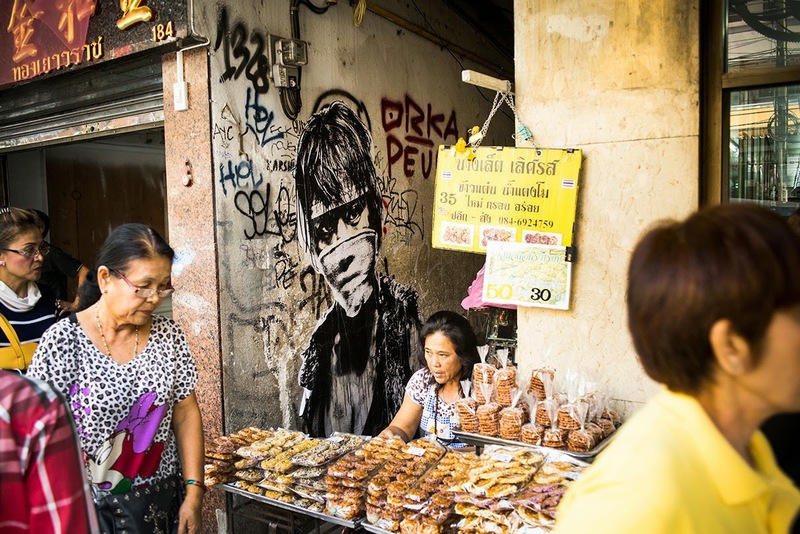 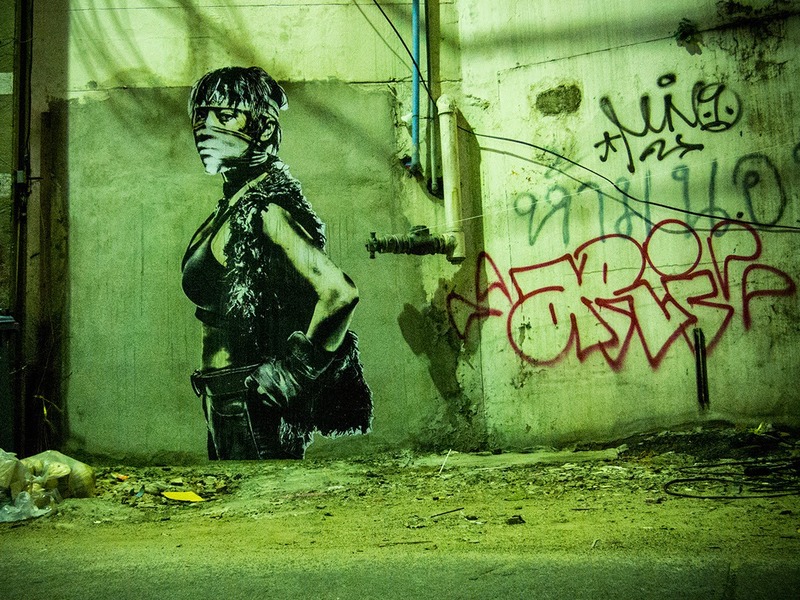 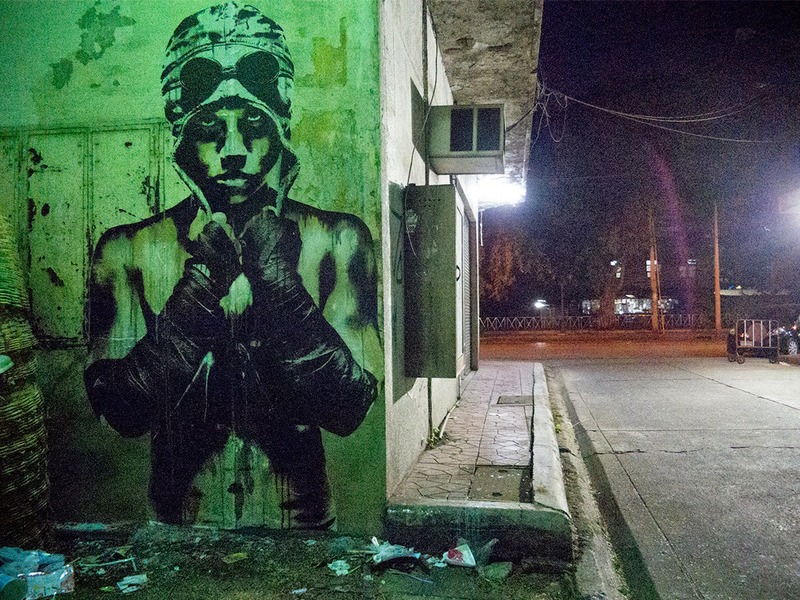 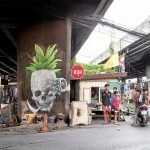 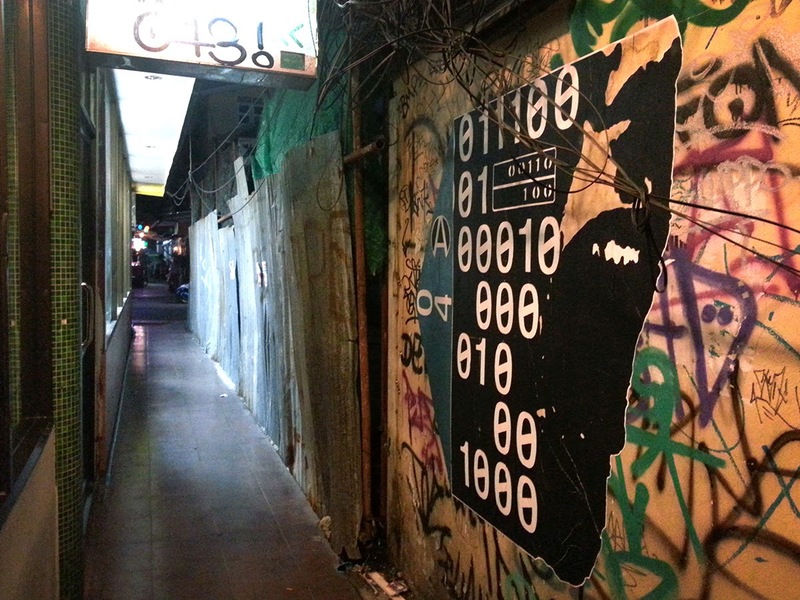 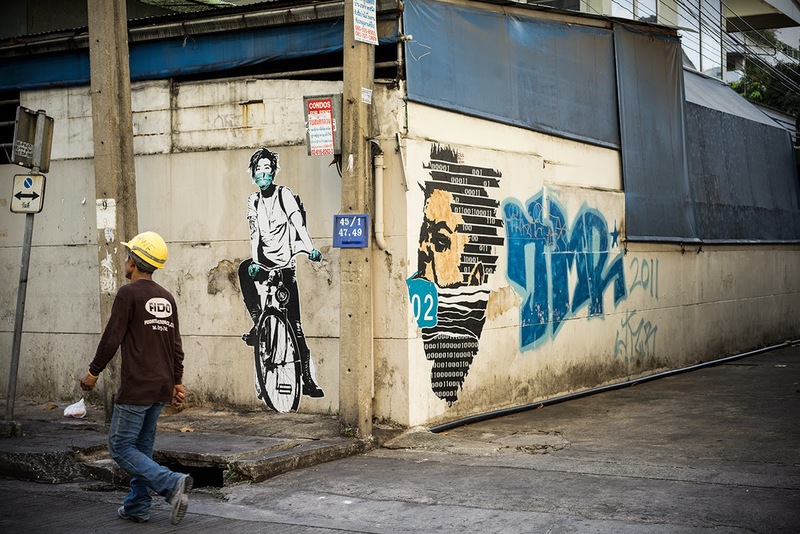 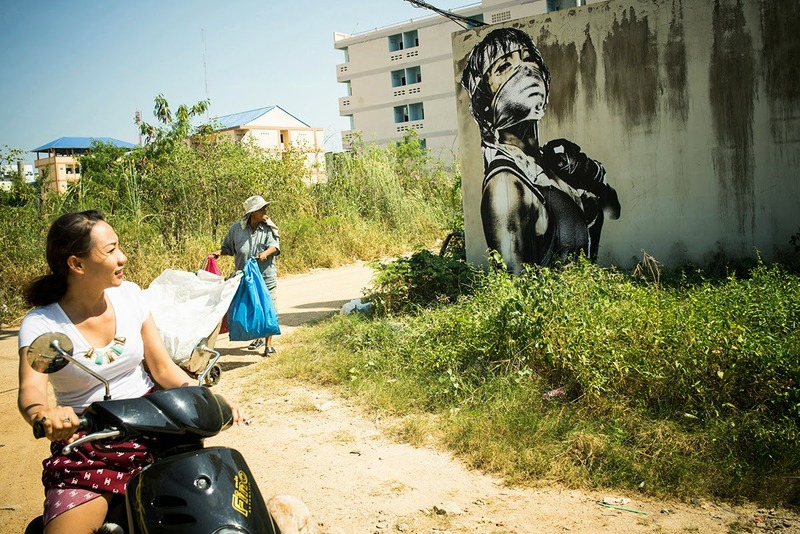 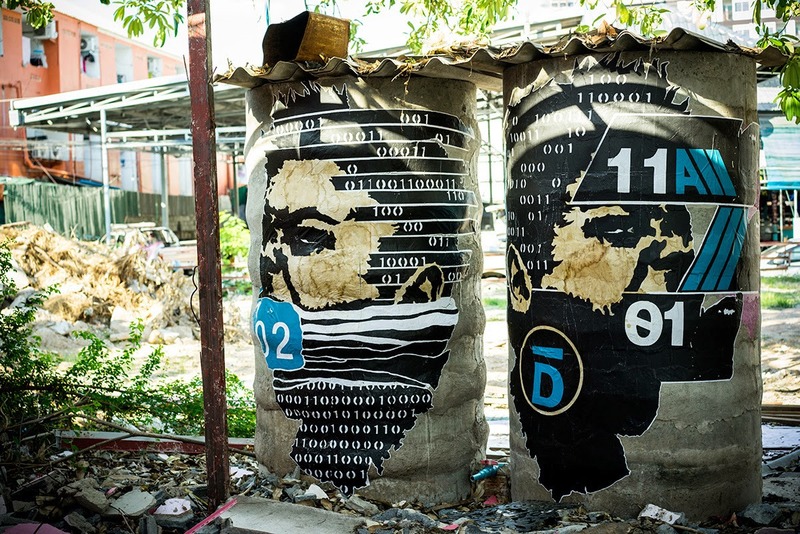 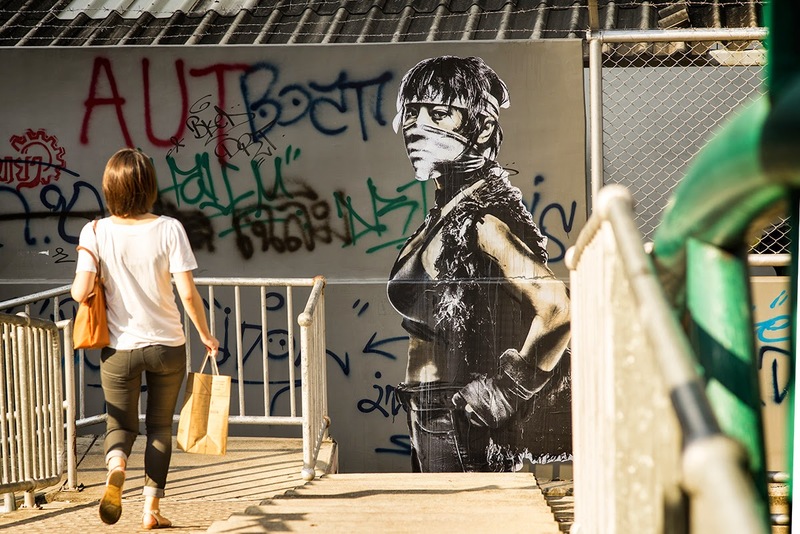 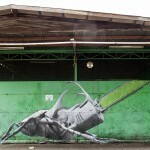 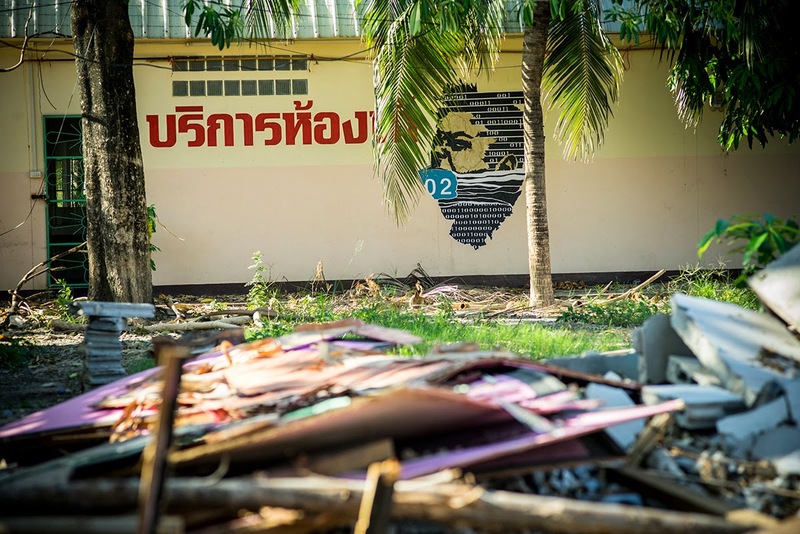 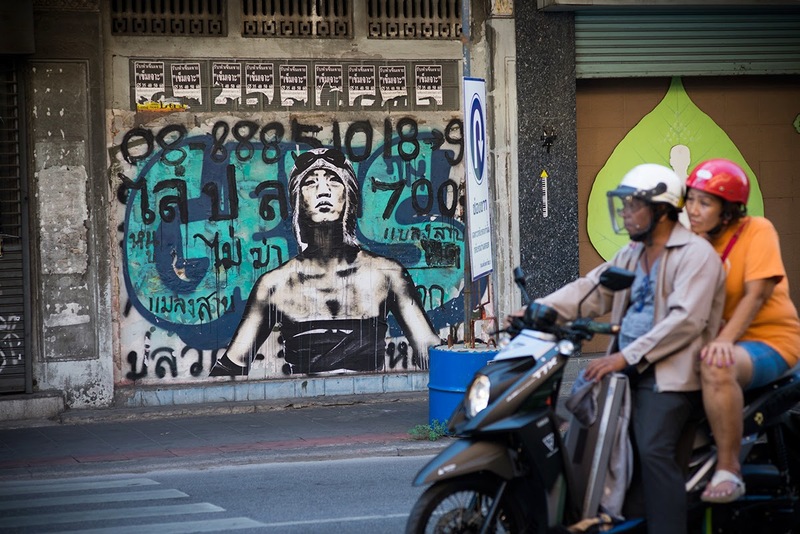 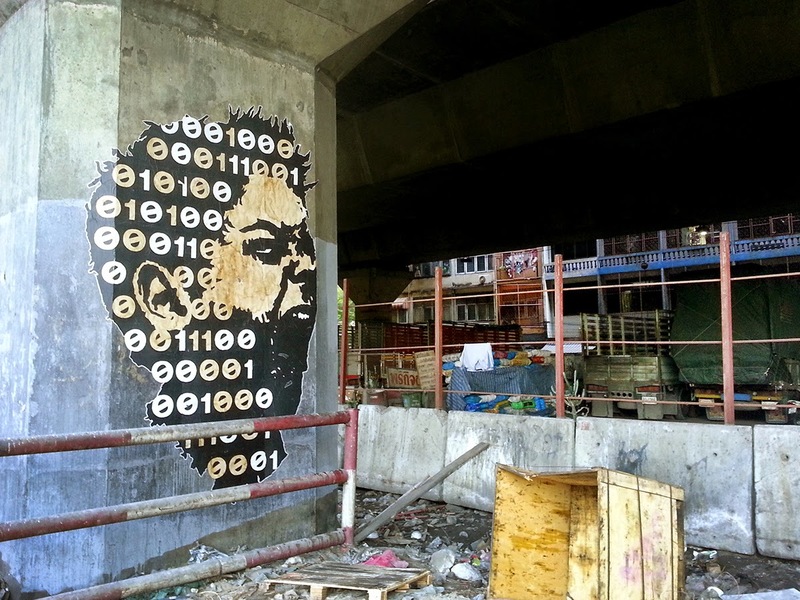 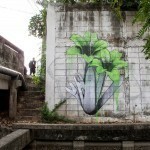 What unfolded was a series of large format wheat-pastes across Bangkok, Pattaya and Koh Samet. 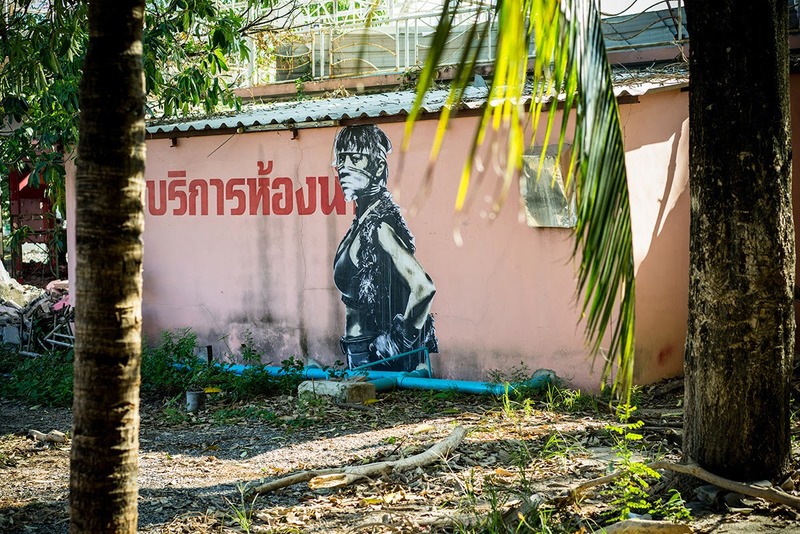 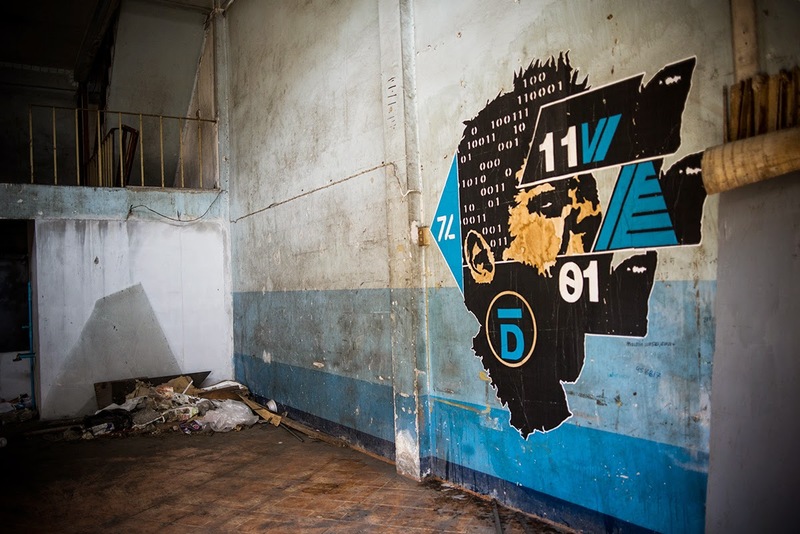 Beyond the Grand Palace, the Buddhist Temples and notorious red-light districts of Bangkok is a kinetic and derelict landscape that provided a fitting canvas for their apocalyptic themes. 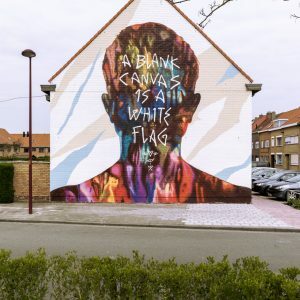 Colla continued with his large scale portraits from his recent body of work “Atavisms”. 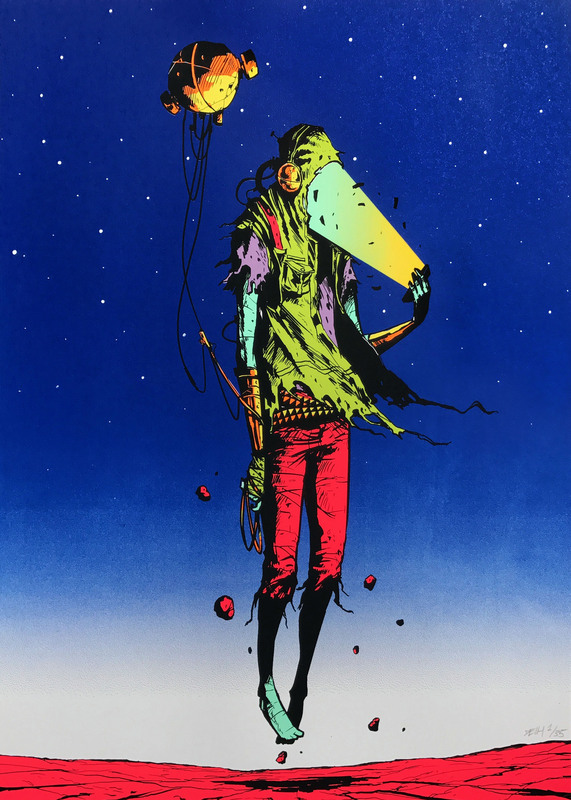 Exploring the ways in which our most primitive and mostly dormant instincts re-emerge amidst a struggle to survive. 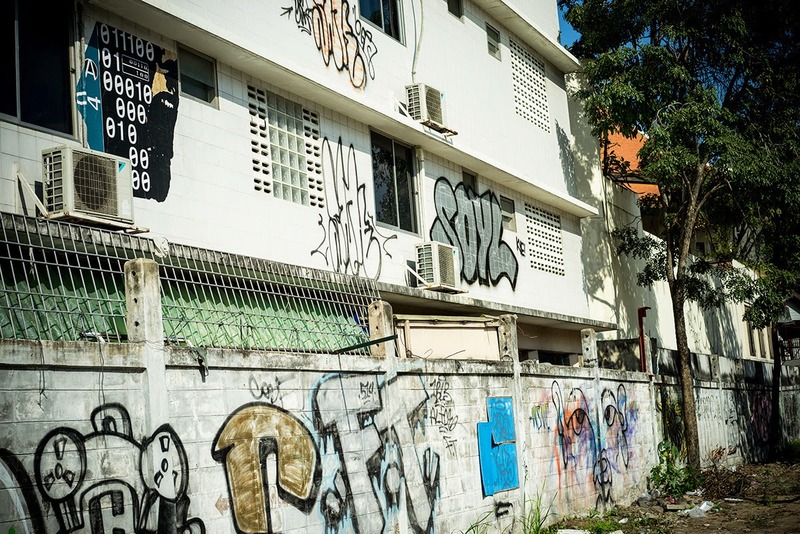 Young on the other hand recently dubbed ‘America’s 2nd greatest living artist’ by President Obama decided to further explore his ongoing series of angry children with random symbols painted on their faces. 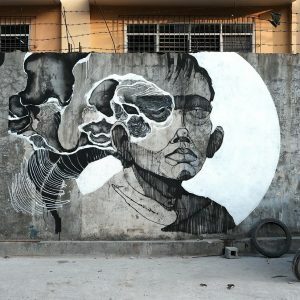 Continue reading for more images on these artworks and then make sure to drop your two cents down in our comments section.